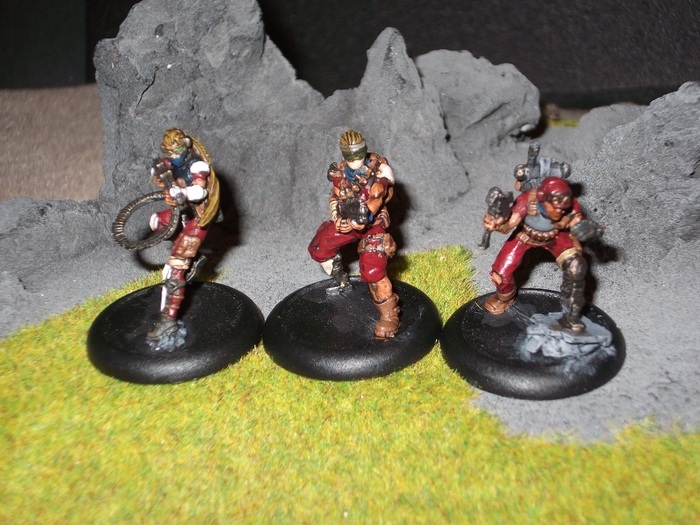 At long last there's a pair of new factions available from MERCS Minis. 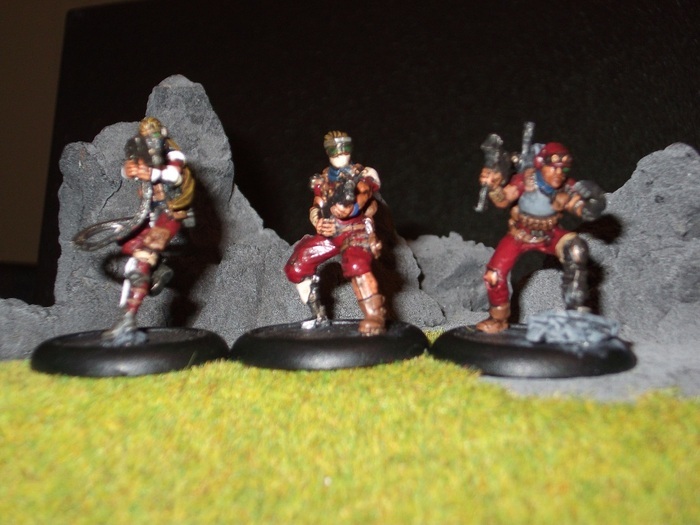 Actually the USCR and the FCC faction models currently available debuted at Gen Con last month. 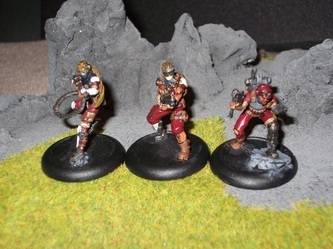 I covered the USCR faction models earlier this month. 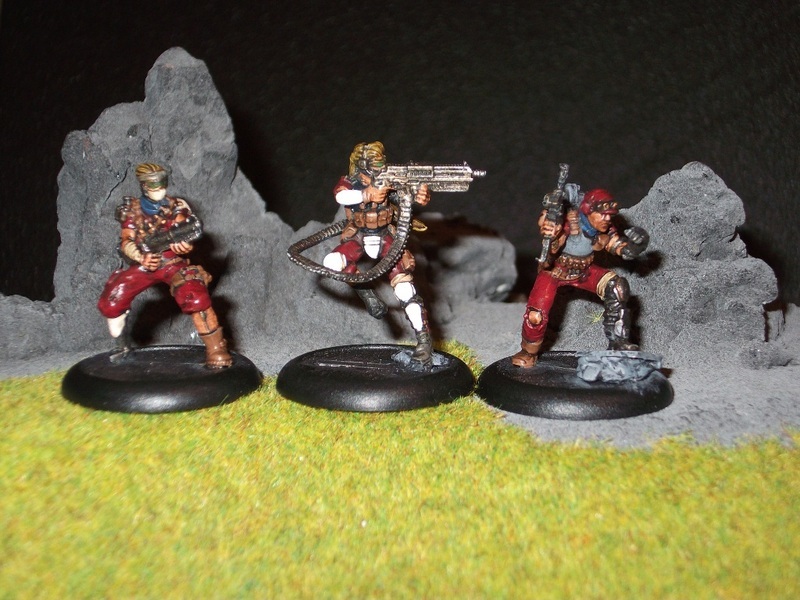 Therefore today I'll be taking a look at the FCC models from MERCS Minis. At present there's only three models available for the FCC faction the FCC Liason, FCC Boomer and FCC Housemaster. This is a 4 piece model if you count the 30mm round lipped display base. The model comes as a main body, weapon with arm bits attached, and an ammo feed belt. Clean up requires dealing with some minor mold lines, but nothing out of the ordinary. The parts for the most part fit together quite well. However the ammo feed belt was problematic getting it to bend properly, so that it would fit at the right angle to glue one end to the backpack ammo box, and the other end to the weapon. The sculpt itself is quite nice, and the pose is also dramatic the way she's standing and firing her weapon. Of all the FCC models she's definitely the one I appreciate most of the three currently available choices. This is also a 4 piece model, if you count the display base. You end up with a main body, the cybernetic arm, and a backpack. It didn't take much to address the minor mold lines, so there's very little clean up to mention. The parts also fit together quite well. I've seen the concept art they used to create this, and the other models in the FCC faction range, and I must admit, that this guy looks just like the art. He looks a lot like a cyborg too, because his left leg and left arm are mechanical in nature. 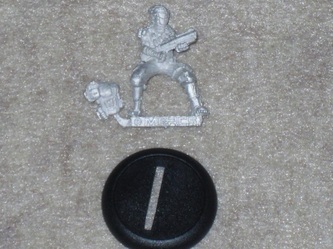 Although he really doesn't appear like much of a threat to me, with a single rather generic pistol in-hand. The left leg is also standing upon a small pile of shale, or rock, so there's a tiny bit of scenic detail for basing included within the sculpt. That's a nice touch. Counting the base, this is a 3-piece model. This fella is pretty much ready to go, aside from the separate backpack to glue on to his back. Again only minor mold lines are present, so nothing out of the ordinary to report there. The backpack also fits well, so assembly is almost non existent. Visually he's an interesting piece. He like the Housemaster is wearing what looks like a motor-cross/BMX bike mask covering the nose and mouth. 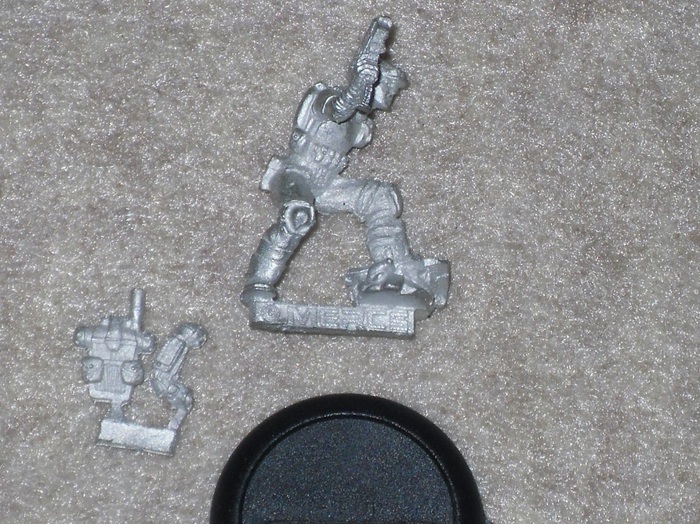 The model is also armed with what appears to be some sort of grenade-launcher-like weapon. Also like his FCC pal the Liason, he too has a mechanical leg of some sort, only his cybernetic leg is on the right from the knee down. 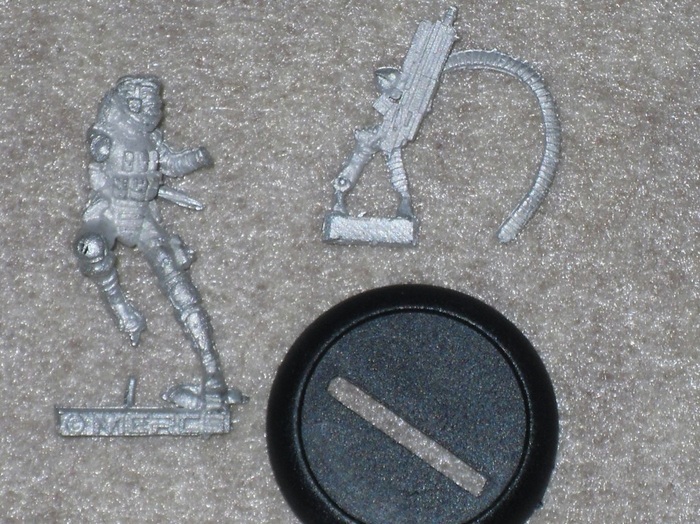 I'm really torn on these FCC models, because I do think sculpt-wise they're as nice as any other MERC Minis, but at the same time I can't say I like them as much as I do the USCR, or Yellow Jackets. The problem is that the YellowJackets, USCR and Kem Var are tough acts to follow. MERCS Minis set the bar so high with the Yellow Jackets, that it was only a matter of time before they fell short with the later releases. I just personally don't think that these FCC models have the same visual impact as any of the other models available in the MERCS Minis range. I'm also yet to see how useful they are in the MERCS Minis Skirmish game, so I may feel differently about these models once I've played them in the game. Once I can get my hands on at least five of the FCC models total (five are required per side in the game), I may re-explore the FCC as a faction in a future article once the rulebook ships. 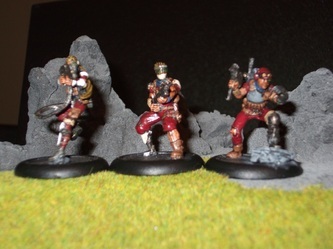 In terms of cost, these are all priced at $9.99 USD each, which has pretty much become the standard price-point for all MERCS Minis models, with exception of the larger USCR Behemoth model, but even he's just $13 USD. Considering these are all white metal, and are very nice sculpts, with minimal clean up, and smooth assembly, $9.99 is quite fair, more so considering there's a game to use them in now as well. 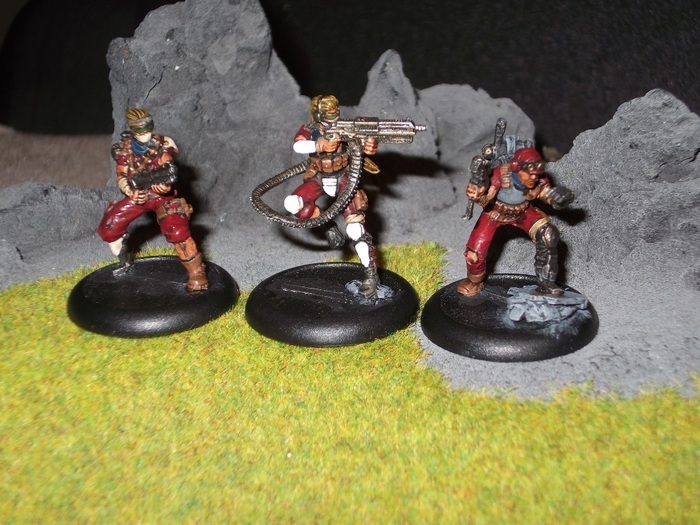 Actually the rulebook will be ready to ship in late November if all goes as planned, but at present you can download the basic MERCS Minis Skirmish Game rules for free from their website and play it now with the rules they used to demo the game at Gen Con. There's also only three FCC models available at present, but a fourth model is at the foundry as I write this. I'm told that it, and a mod-kit for the FCC allowing you to make a variety of different models from the fourth model should be available any day now. 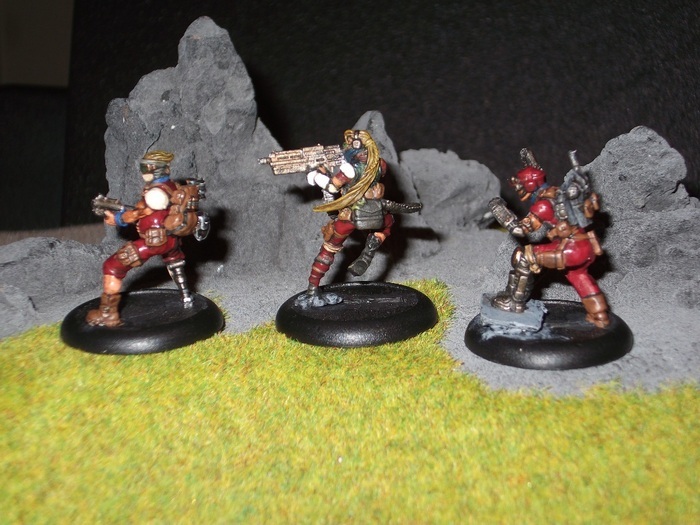 All of the MERCS Minis factions have been expanded to six models per faction, to match up with the faction decks that are available to play the MERCS Minis Skirmish game. 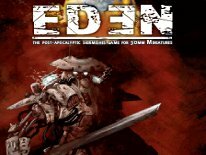 All of the faction decks are available now, and can be purchased for $7.99 direct from MERCS Minis.